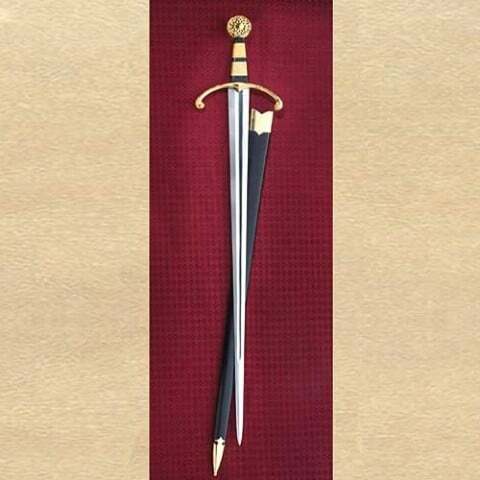 Truly a beautiful custom made sword fit for a king. Made to satisfy Henry XIII’s love of weapons and armour. Highly detailed gold plated parts with twisted wire bound wood grip. Striking fullered high carbon steel 91cm blade. Overall length 109cm. Weight 1.5kg. 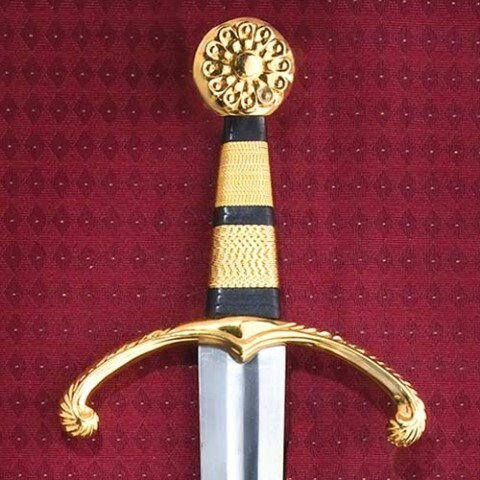 Quality scabbard included to match the sword detail.